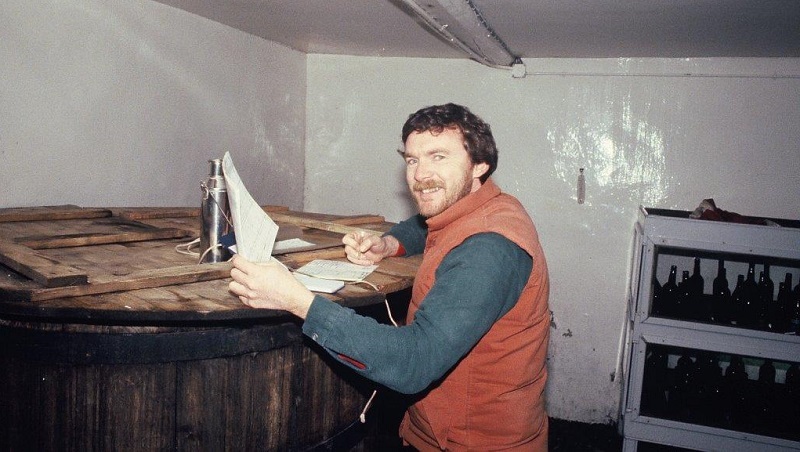 There were three keynote addresses scheduled for the National Craft-Brewers Conference and Trade Show in Boston in May 1996, one for each day of the annual conclave for smaller brewers now known best as the Craft Brewers Conference. Of the trio of speakers, Geary was undoubtedly the least well-known. Although his brewery was on its way to becoming one of the oldest of its kind in the nation, and Portland was already one of those bucket-list Valhallas for hop heads, the notoriety of Papazian and Jackson far exceeded that of Geary. Jackson was practically a rock star in the beer world and Papazian ran the event’s host organization. Yet, it would be Geary’s speech that attendees would remember best. Why? For starters, he kicked things off praising the Goliath of American brewing, something the many Davids in the audience couldn’t abide. Budweiser isn’t bad beer, Geary told the crowd, it’s great beer. The crowd booed. How dare he? Geary knew firsthand the travails of starting a smaller brewery from scratch. His own dated from the mid-1980s, rendering it practically ancient compared with most contemporaries. Geary had already seen several other smaller breweries go under, besides, and had wrestled with the headaches of marketing and (especially) distribution in a Bud Light world. Then Geary got to the point of his address, the full title of which was “Charting the Course: The Pioneer.” The pioneer in question was Jim Koch, co-founder, chairman and CEO of the Boston Beer Co. This focus naturally and quickly led Geary to a topic that had been dividing smaller brewers for as long as many at the Boston gathering could remember: contract brewing. Namely, the contract brewing that the Boston Beer Co. had ridden during the last decade to the top of the micro/craft heap. Boston Beer and its main rival, Pete’s Brewing Co., had rented space and labor at existing breweries to make their Samuel Adams Boston Lager, Pete’s Wicked Ale, and other brands, thereby eluding the startup and maintenance costs of physical breweries. Both companies invariably sunk the savings from this into the sort of marketing and advertising other smaller brewers simply did not do. Which, to Geary, was a big part of the problem. Koch might be on the radio or in the newspapers, talking about the subtleties of brewing. Or Pete Slosberg, the “Pete” in “Pete’s Wicked,” might be on television, even, accentuating the David aspect of small brewers confronting Goliath in the form of Anheuser Busch, et al. Hardly any other principals of smaller breweries followed suit—at least not on the same scale as Koch and Slosberg. David Geary could remember when Samuel Adams made it to Maine retail shelves in the late 1980s. “Now we have a category,” he thought to himself, a necessary way for consumers to think about what he and a relative handful of others were selling. More boos—in Koch’s Boston backyard, no less. The controversy over contract brewing would largely pass as the calendar clicked over to the new century. And Boston Beer would pass on to making all of its beers in-house, while Pete’s would pass on, period—Gambrinus stopped production of the Pete’s brands about a dozen years after acquiring the brewing company in 1998. Geary’s Portland brewery would continue, now the oldest small-batch producer on the East Coast. His speech 20 years ago—or, more precisely, the rude reaction to it—seemed until recently a relic difficult to relate to, one that recalled when the small-batch/craft/micro universe was a more rancorous environment than it became. The recriminations regarding takeovers and mergers the past couple of years, never mind the squabbles over definitions, seem to have poked the beast. No one’s gotten booed, though. No offense, but I’ve reread this 3 times and I don’t see what you’re saying. Can you summarize for dumb people like me? I’m kinda with you David.